It seem like that last year and half, the world of music has just been devastated by losses of talent, influence, and just great music. Again, music has lost another great musician, John Wetton, most notably of the 80’s super group, Asia. He was just 67 years old, but had battled several serious issues late in his life from alcohol abuse, cardiac disease, and ultimately, it would be cancer that would take his life. I can relate to Wetton on many things. 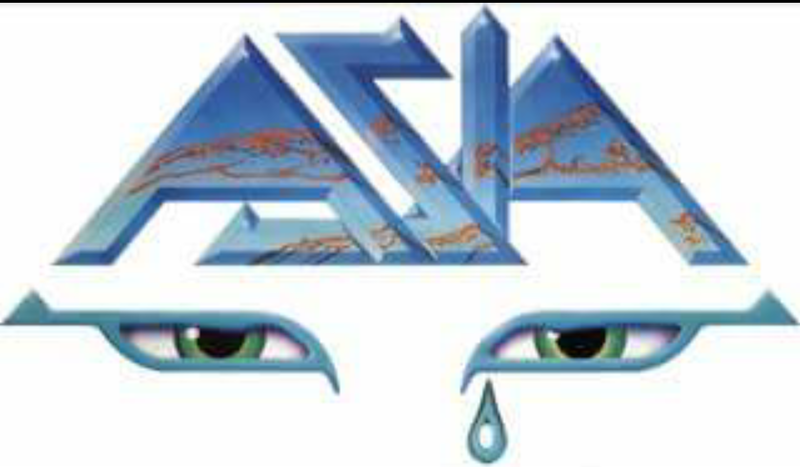 I was a huge fan of Asia, one of a handful of bands that I possess every recording, and not just their “hits” years of the early 1980’s. And when it came to vocals, I honestly believe my voice is quite similar, if not identical to Wetton’s. I had enough practice singing his lyrics in the indoor arena known as my car. Although I was one of millions who thought Asia was going to be around forever, not many were like me, that there was a lot of inspiration and experience that made up this group. Members of the band came from other great groups such as Emerson, Lake, and Palmer, Uriah Heep, King Crimson, Yes, and the Buggles (“Video Killed The Radio Star”). I actually got to hear Wetton sing Downes’ “Video Killed the Radio Star” during Asia’s original lineup reunion. I went from growing up thinking there were just two types of music, pop and country to learning that with FM radio, there were actually different forms of rock, including this type of progressive rock of Asia. Over the last year, I have been saddened by all the passings of such great musicians like Glen Frey of the Eagles, David Bowie, Prince, George Michael and so on. But it is not just because of the music of Asia, now being silenced (although surviving band member and co-founder Geoff Downes has stated Asia will go on), but other connections to Wetton that I have. Though details are not discussed, Wetton had heart surgery. I know that very well myself, that surviving a diagnosis of heart disease, can result in a re-birth if you will, of life. And it seemed lyrically, on many of Wetton’s many band projects, not just Asia, but collaboration Icon partner Geoff Downes, and Wetton’s own solo work, religion seemed to find its way into many of the songs. But it was colon cancer, that turned out to be too much for Wetton. He had been battling it for a couple of years, after discovering a 1 kilogram tumor. A quote in an interview following his diagnosis was advice from Wetton, for everyone to get checked. It is a known fact, that your chances of surviving colon cancer, is to get it taken care of sooner than later. And often times, pre-cancerous polyps are discovered during colonoscopies and removed, before they get the chance to turn into cancer. And that should be a good thing. So, why do not more people get colonoscopies done? As a long term cancer survivor myself of nearly 28 years, I have to get colonoscopies every 2-3 years, while those without pre-existing conditions often only need to get them done once every 10 years once they hit 50 years of age. Again, if polyps are found, they get removed before they turn into cancer. And if they are cancerous, the cancer is treated sooner, than after severe symptoms reveal themselves (such as 1 kilo tumor). There are a couple reasons I know of why some refuse to get colonoscopies. One makes absolutely no sense, and is generally only considered by men. The other, is generally agreed upon by both genders. It is hard to believe that men often avoid colonoscopies, because they are afraid of “being turned gay.” Because of how the procedure is performed, there are absolutely some men, who are afraid that they will develop homosexual tendencies. Nothing could be further from the truth. And I know from talking to some who expressed this irrational fear, expressed an embarrassment for feeling this way, following their colonoscopy. For the rest, many complain about prepping for the colonoscopy, because of the amount of fluid that must be consumed to help “clean out” the body. Feelings of bloating and nausea can be overwhelming. And once you have gone through one, of course you know what to expect in upcoming colonoscopies, seemingly enough of a deterrent to not go through another colonoscopy. But the fact is, colonoscopies save lives. And though it did not make national headlines, the late John Wetton of Asia, made it clear, the importance of getting screened. Because of my love for music, I do have a tendency to take the deaths of musician a bit more hard especially compared to other celebrities or athletes. But because of a connection I felt to Wetton, musically, cardiac, and cancer, his death is hitting me a bit harder.